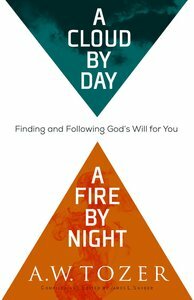 About "A Cloud By Day, a Fire By Night (New Tozer Collection Series)"
As we face life's major decisions, the question 'What is God's will for me?' inevitably arises. A W Tozer was no stranger to difficult decision-making, and his wisdom and biblical insight in these sermon extracts will guide readers as they seek to honour God in all their life choices. Many people talk about the gifts of the Holy Spirit, but very few accept the conditions for being filled. In this material drawn from his sermons, A W Tozer explains what those conditions are and how Christians can be transformed into truly Spirit-filled people, in wisdom and humility.